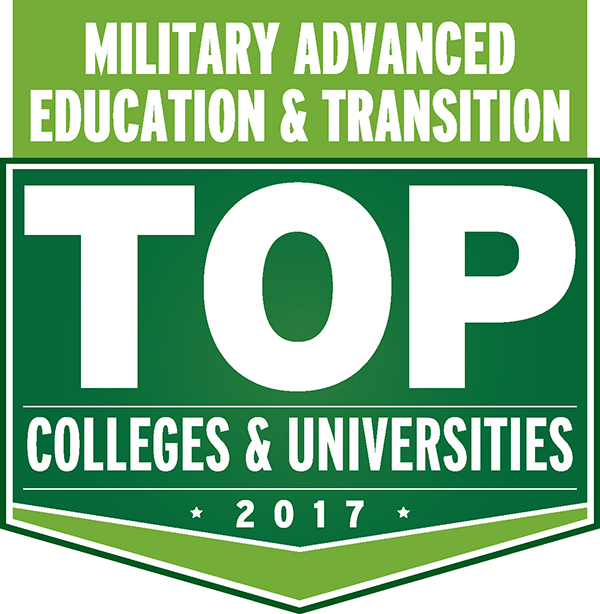 Military Advanced Education & Transition (MAE&T) has once again awarded Upper Iowa University the designation of a “Top School” in its 2017 MAE&T Guide to Colleges & Universities, measuring best practices in military and veteran education. Now in its 10th year of publishing the guide, MAE&T was the first publication to launch a reference tool of this type. This year, institutions were evaluated on their military culture, financial aid, flexibility, general support, on-campus support and online support services. Each school’s performance rating by category is represented by an easy-to-recognize dashboard. This enables prospective students to quickly target schools that follow best practices in military education, and then put these in context with other academic or career considerations. The MAE&T Guide presents results of a questionnaire of the military-supportive policies enacted at hundreds of institutions, including private, public, for-profit, not-for-profit, four-year, and two-year colleges. From community colleges to state universities, online universities and nationally known centers of higher learning, MAE&T’s 2017 Guide to Colleges & Universities arms students with information about institutions that go out of their way to give back to our men and women in uniform. Released in December, the MAE&T guide is also published in a searchable database online. Students have access to all the survey questions and answers provided by the schools, as well as explanations about critical issues like activation and deployment policies, withdrawal policies, scholarship and financial aid information and important support information. Military Advanced Education & Transition is the journal of higher education for service members and veterans making the transition from military to the civilian sector. Visit www.mae-kmi.com for online access to MAE&T’s 2017 Guide to Colleges and Universities. Those interested in additional information about Upper Iowa University, military personnel and veterans may contact Chad Cook, UIU director of military and veteran services, at 563-425-5507 or cookc30@uiu.edu.